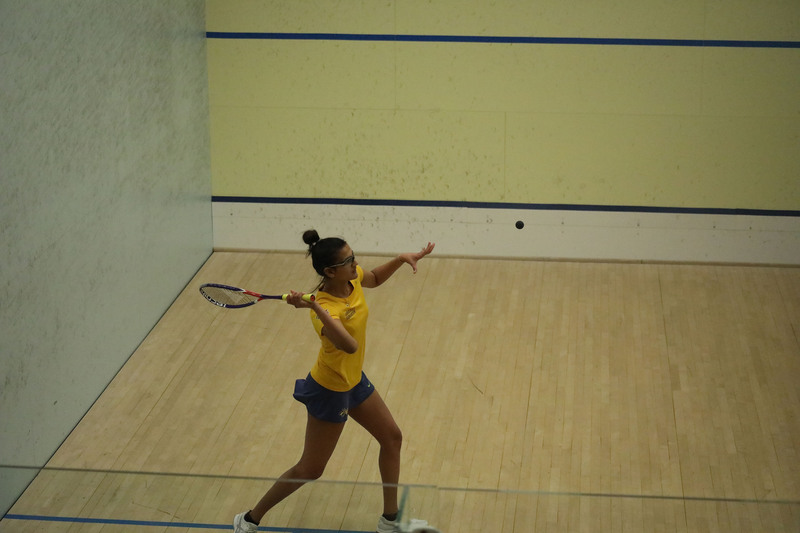 After the Drexel men’s squash had two disappointing losses against Cornell University and the University of Rochester, they looked to bounce back on Senior Day, Jan. 27 against Colby College. The women’s team won their match against Cornell, so they looked to continue their win streak with this match. Before the match, Drexel honored the seniors on the team: Will Grady, Joshua Hughes, Ryan Leslie, Bransten Ming, Royston Raymond and Luke Willemse. These men, along with the rest of the team, were honored with wins as the Dragons cruised to a 9-0 win over Colby. Five of the six seniors also crushed their opponents in straight sets. The sixth senior, Raymond, dropped his first game, 8-11, but quickly got his bearings and easily won the next three. Sophomore Dylan Kachur also took his match to four games, as he also lost his game 8-11, but just as his teammate, he regrouped and won the next three. Freshman Matias Knudsen and junior Nathaniel Chan won in straight sets to bring the Dragons to a win. The women had a very similar outcome from their match against Colby. Drexel also honored the women’s team with their seniors: Apoorva Addepalli and Fiona Power. Both of these ladies, along with the rest of the team, took down each one of their opponents in straight sets. It was a momentous day for the women’s team, as they cruised to a 9-0 win. Both teams will return to match play when they visit Columbia University Feb. 1 at 2 p.m.